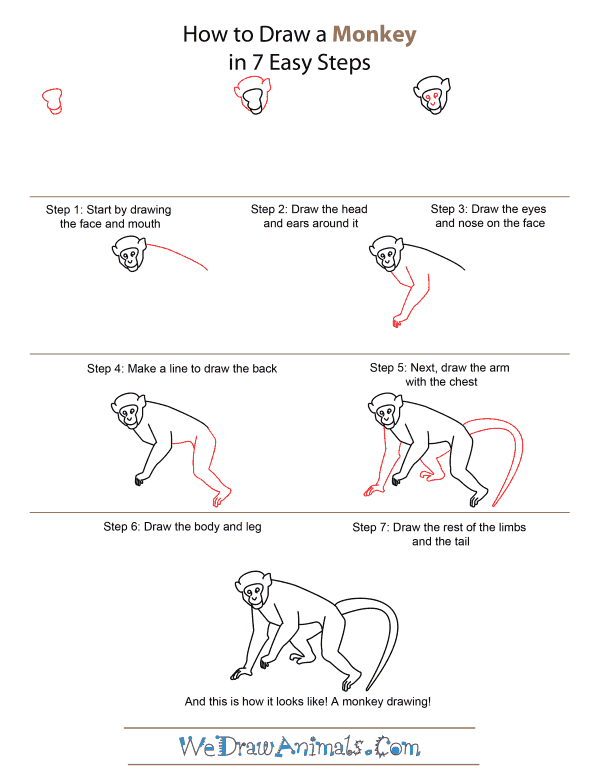 In this quick tutorial you'll learn how to draw a Monkey in 7 easy steps - great for kids and novice artists. 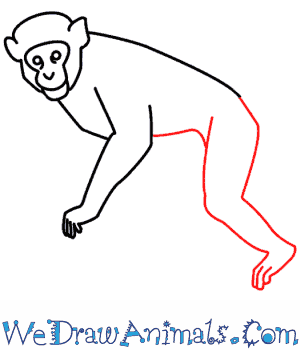 At the bottom you can read some interesting facts about the Monkey. 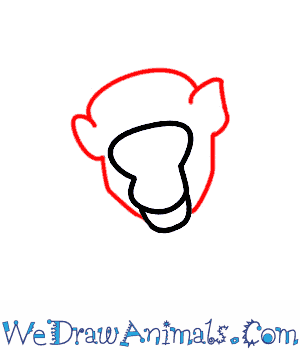 Step 1: Start by drawing the face and mouth. It looks like an hourglass. The top part of the face is wider than the bottom part. Be sure to add another line on the bottom for the mouth. Step 2: Next draw the head and ears around the face. The head is pointier on the bottom and wider on the top. The pointy ears are on the sides of the head. Step 3: Draw the round eyes and the nose inside the face. Step 4: Then draw a long line for the back. It is almost straight. 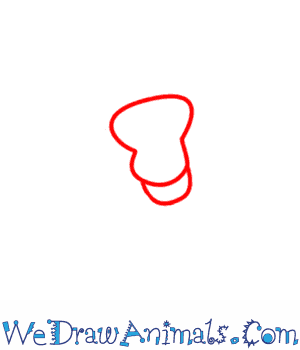 Step 5: Now draw a line down from the head to make the chest. Add the arm. 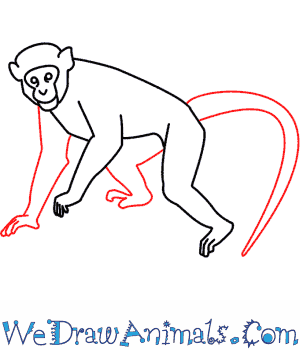 The monkey's arm almost looks like your own arm. It is wider at the top than at the hand. Make sure you draw fingers. Step 6: Continue the belly line to the back leg. The back leg is the same width as the arm but a bit longer. Don't forget the toes on the foot. Step 7: Add another arm and another leg. The second leg is bent. This makes the monkey look like he's running. 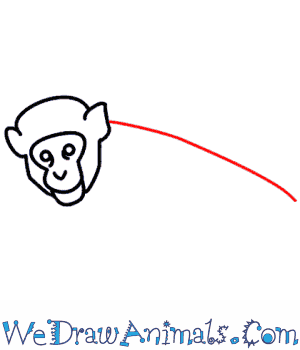 Finish your monkey with a long thick tail. It has a pointy end. It is the same length as the body. There are more than 260 known species of monkeys. They are placed in two categories, Old World and New World. The smallest monkey is the pygmy marmoset. It weighs about 3 to 5 ounces and stands about 4 to 6 inches tall. The mandrill is the largest monkey; it is about 3 feet tall and weighs about 75 pounds. 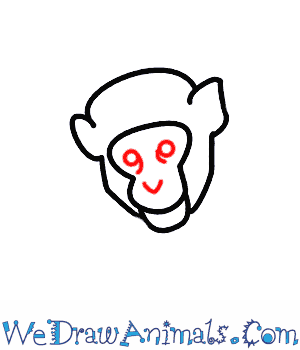 If a monkey is grinning, it does not mean it’s happy. 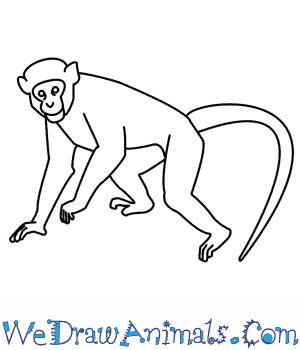 A grinning monkey means it is acting aggressively. To show aggression, monkeys also bob their heads, yawn, or make eye contact. Yawning is also a sign of being tired. Most monkeys live in trees. They use their tails and arms to swing through trees. Their tails help them balance while they walk and climb trees. A monkey’s diet is made up of seeds, fruit, insects, spiders, leaves, and nuts. Some also know how to peel a banana and eat it; they don’t eat the skin. Some monkeys eat dirt. Monkeys live in groups called troops. 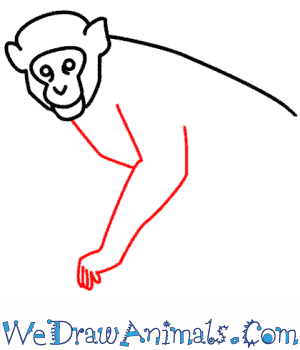 To communicate, monkeys make body movements, sounds, and facial expressions. The howler monkey got its name because it is the loudest of all monkeys. Its howl could be heard as far away as 100 miles.